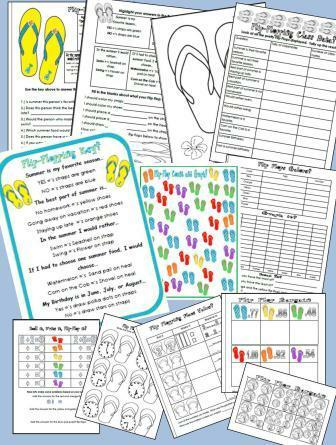 Flip Flops and so fun and will make this review of first grade math flipping fabulous. Plus the glyph is such a fun craftivity! uses the page of flip flops to complete a tally and graph sheet. Student answers questions about their created graph.